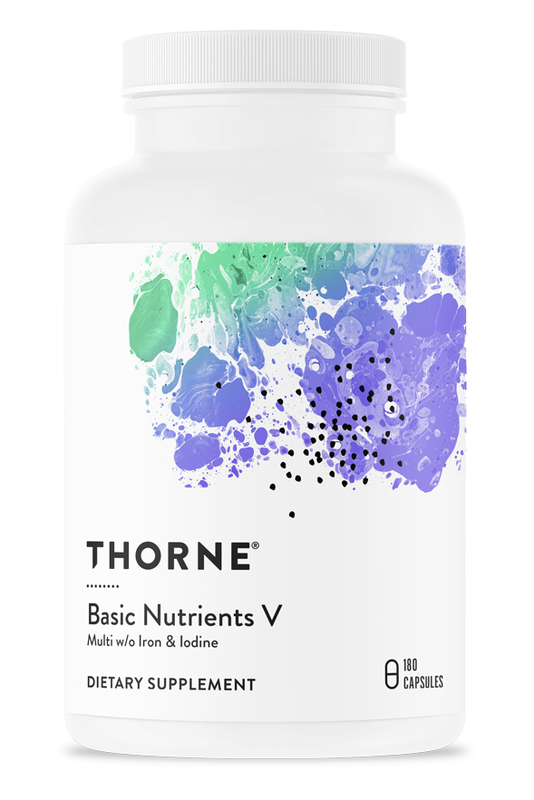 Basic Nutrients V from Thorne Research is just as the name suggests – all of the most essential vitamins and minerals your body needs to stay healthy in one powerful capsule. Nutrient content is sourced from quality ingredients and dosed according to the most relevant scientific research. Also discludes potentially harmful ingredients like iron and iodine. 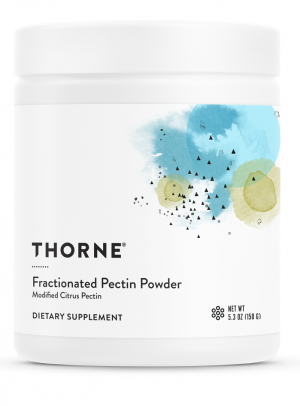 Contains a potent blend of some of the most important vitamins and minerals for a healthy body. May help with balancing one’s dietary intake. Does not include iron or iodine. Doses have been carefully calculated according to the leading scientific literature. Designed to bring you the best daily multiple available on the market! The role of multivitamins as a part of a healthy and well-rounded dietary intake is often debated. Some say that daily multiples can be used as a sort of nutritional insurance policy to ward against the potential threat of nutrient deficiency, while others argue that a healthy body has no use for this additional nutrient supply. What’s certain to both parties is that modern foods, dietary choices, and lifestyles are making adequate nutrient intake increasingly rare and difficult to achieve for the average person. 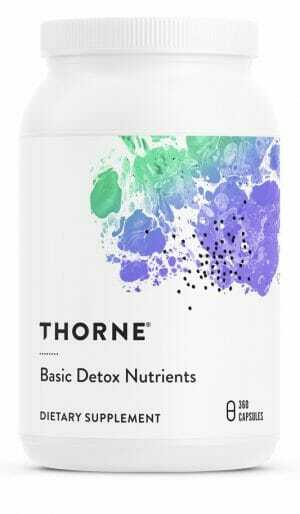 It is thought that multivitamins may present a possible dietary solution for those who do not receive adequate nutrition from the foods they eat and the things they drink. However, not all multivitamins are made as equals. Some of the most popular multiples on the market are made with low-quality ingredients, unnecessary additions, and inadequate dosages. Basic Nutrients V from Thorne Research seeks to avoid all these common pitfalls by only using the most necessary and highest quality of all-natural ingredient sources in scientifically validated dosages. It also avoids common nutrients like iron and iodine which are generally unnecessary and potentially harmful in some recipients. Caution: Vitamin C can cause diarrhea in some individuals in large doses, which can vary from person to person and resolves when the amount is reduced. ††This product uses Albion’s TRAACS® Chromium Nicotinate Glycinate chelate and Molybdenum Glycinate chelate. TRAACS is a registered trademark of Albion International, Inc.
†††This product uses Albion’s Bororganic™ Boron Glycinate Complex. Bororganic is a trademark of Albion International, Inc.